A FieldServer protocol gateway that provides data exchange between LonWorks and Notifier 200/300/400. The Multiport Gateway provides a wealth of features to enable data transfer between different devices and networks. The LonWorks driver allows the FieldServer to transfer data to and from devices using LonWorks protocol. 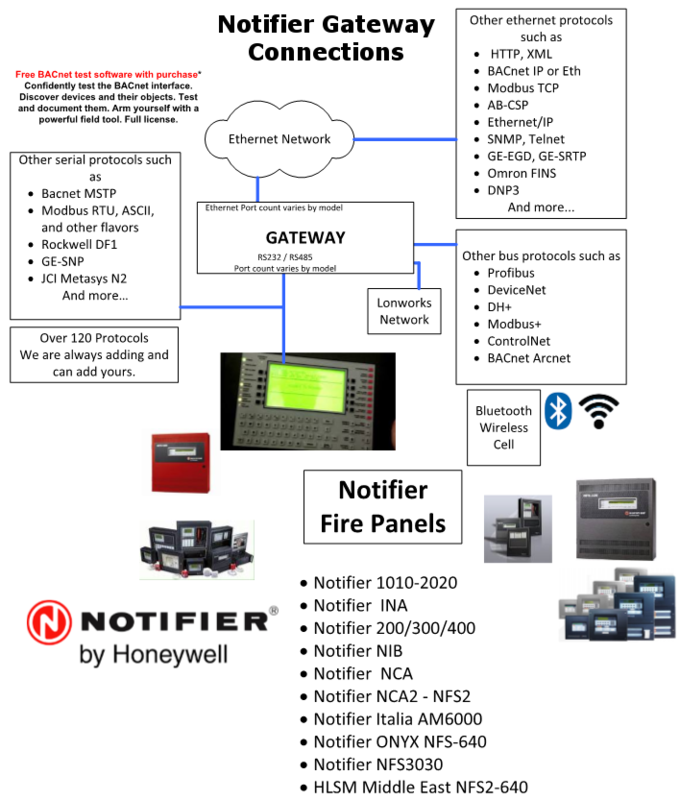 The Notifier AFP 200/300/400 driver allows the FieldServer to transfer data to and from the Notifier AFP200, AFP200, and AFP400 Automatic Fire Alarm Panels over RS-232 using Notifier AFT 200/300/400 protocol. This protocol translator/gateway provides a wealth of features to enable data transfer between different devices and networks utilizing serial, Ethernet or LonWorks ports. The extensive library of FieldServer drivers provides easy interoperability with devices and networks used in building automation, HVAC, fire and process control industries. The FS-B3510 is one of the FS-X30 Series FieldServers designed to meet the needs of system integrators in designing a complete interoperable system. The FS-B30 Series brings together the powerful FieldServer driver library with state-of-the-art gateway design. This FieldServer includes four serial connections (two RS-232, two RS-485), two Ethernet ports, and a LonWorks port. The multiport design allows for serial-to-serial interfaces or interface from mulitple serial products to an Ethernet or LonWorks network. The two Ethernet ports enable the integrator to connect a PC to download configuration changes without disturbing the system connections and without the additional cost of an external hub. The LonWorks driver allows the FieldServer to transfer data to and from devices using LonWorks protocol over the TP-FT/10 channel amongst others. The LonWorks FieldServers can emulate either a Server or Client. The FS-B30, QuickServer, and SlotServer Series FieldServers have a built-in LonWorks Interface and a Fieldbus connection is available on the FieldServer. The FS-B30 and the SlotServer can handle up to 4096 Network Variables which can be of the Standard Network Variable Types (SNVT) and/or User-defined Network Variable Types (UNVT), and the QuickServer can handle 250 Network Variables (or a limit of 500 for the enhanced model). The Notifier AFP 200/300/400 driver allows the FieldServer to transfer data to and from the Notifier AFP200, AFP200, and AFP400 Automatic Fire Alarm Panels over RS-232 using Notifier AFT 200/300/400 protocol. The panel MUST output messages in English. The FieldServer functions as a Client with this driver. The information that follows describes how to expand upon the factory defaults provided in the configuration files included with the FieldServer. As the AFP200 panel interface differs in many aspect from the AFP 300/AFP400 interface, these panel interfaces will be discussed separately. Serial Ports – 5: 2 x RJ45 RS-232 galvanically isolated with ESD protection. 2 x RS-485 galvanically isolated with ESD protection. 1 x RJ45 RS-232 system port. The FieldServer provides the capability of defining multiple functional blocks, but only a single LonMark object. The user can create multiple functional blocks or a LonMark object by filling out the Node SelfDocumentation String and the respective Network Variable Self-documentation String fields in the FieldServer configuration file. LonMark International is responsible for certification, education, and promotion of interoperability standards for the benefit of manufacturers, integrators, and end users. 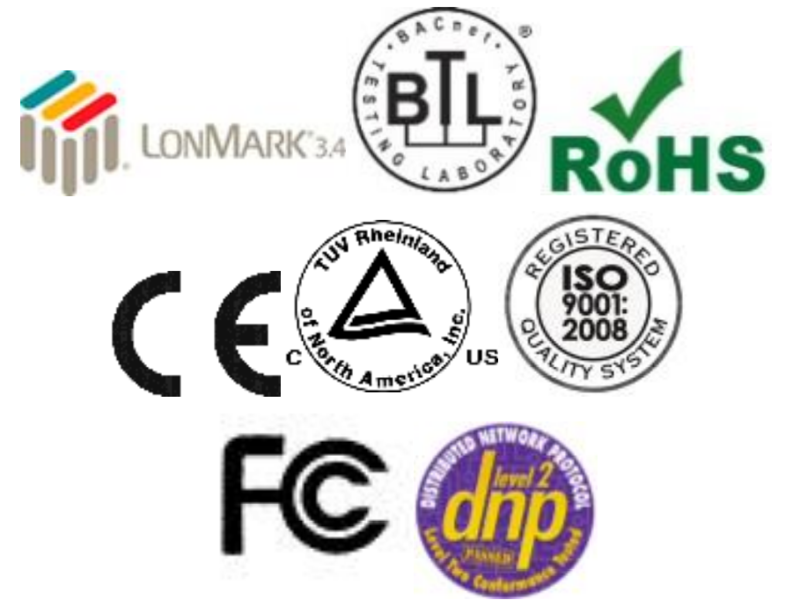 LonMark International has developed extensive product certification standards and tests to provide the integrator and user with confidence that products from multiple manufacturers can work together. Sierra Monitors FieldServer has more LonMark Certified gateways for integrators and OEMs that carry the LonMark logo than any other gateway manufacturer. For more information about our LonMark Certified products, visit the LonMark International Product Certification Directory. Lonworks - CASnote2 - Cummins BC - Work Instruction for Editing Configuration Rev2-Jan2009. A set of services is offered by the LonWorks Protocol that enables all devices in the network to transmit and receive messages to and from other devices via their application program— requiring no acquaintances with network topology or the other devices’ names, addresses, or functions. Besides, LonWorks Protocol can be made to deliver authentic, high priority messages within delimited transaction times. Moreover Network management services allow remote network management tool’s interaction with devices over the network; making them capable to reconfigure network addresses and parameters, download application programs, report network problems and Start/stop/reset device application programs. Consequently it’s relatively easy to employ LonWorks network over any medium, including power line, twisted pair, radio frequency (RF), infrared (IR), coaxial cable, and fiber optics. 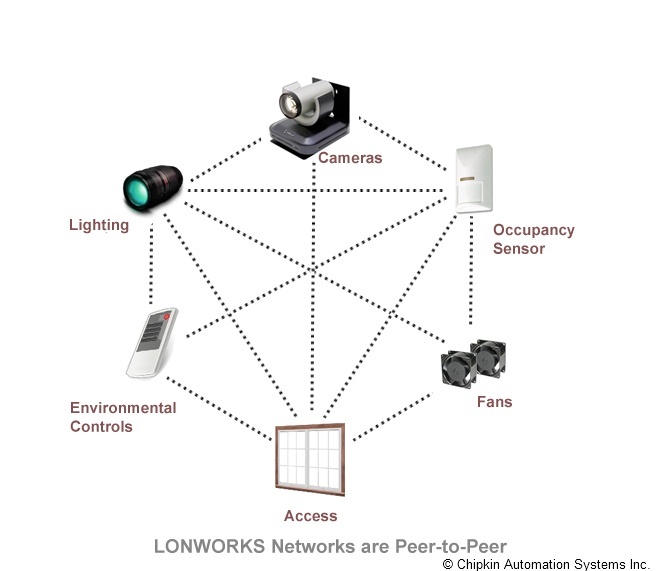 Lonworks is another communications protocol useful in building automation applications. The protocol was developed by the Echelon Corporation in the late 1990s. Lonworks originally transformed from Echelon’s earlier “Lontalk”, and was submitted to the American National Standards Institute (ANSI) for acceptance. Lonworks was designed on a low bandwidth platform for networking devices through powerlines, fiber optics, and other media. Lonworks – communications protocol (ANSI/EIA 709.1, and others). Echelon’s “Neuron” chip (Three 8-bit inline processor). Two are used by Lonworks, and one as a general application processor. Twisted-pair and/or powerline transceivers to transmit Lonworks protocol. LNS Network Operating System is the required software. Internet connectivity through Standard Network Variable Types (SNVTs) or with LonMark profiles. LonMaker allows interoperability among devices. Less architecture at the device level. Numerous developers of Lonworks products in the market. Lonworks devices are close to “plug & play” ability, but still far from achieving interconnectivity in today’s computers using Microsoft Windows. Less architecture causes controlled devices and variables to be connected to a separate control device. Most designers do not recommend this type of architecture because network interruptions could eventually produce system failures. The protocol is proprietary, and not truly open to the public. Only actual members, mostly manufacturers are included in standard development(s). Extensions within Lonworks are allowable only through the LonMark Consortium. Hardware specific, and requires the Neuron chip for network movement of the protocol. A P2P (peer to peer) architecture is undoubtedly the preeminent way to build control networks. Being exclusive of a single master control, P2P-based control network confers high reliability and high performance to its users. Unlike other control networks, in P2P architectures, there is absolutely free and open communication between network devices which automatically puts a stop to the system collapses that could occur whenever the master stops working. 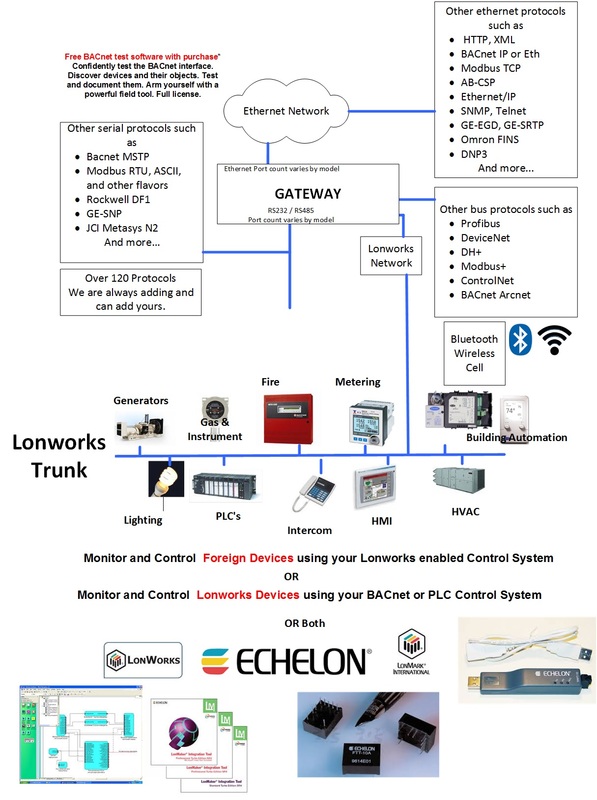 LonWorks is not just a protocol or physical layer for communication but an exclusively designed networking technology platform to install, maintain, monitor and sense various automation and control applications. Essentially LonWorks was established for a range of automation functions within buildings such as lighting and HVAC. Invented by Echelon Corporation, the fundamental communications platform, twisted pair signaling technology, power line signaling technology, and IP tunneling method constitutes a global standard documented ISO/IEC 14908. Another useful utility is XIFDUMP. It is a report generator (DOS), and it allows you to generate reports (text file) from a XIF files. What happens if you need to learn about a Lonworks network and it devices but you haven’t been provided with the database or if you don’t have LonMaker? NodeUtil is a Lonworks utility that can be used to explore Lonworks networks and devices without having LonMaker. All you need is a device such as an Echelon U10/U20 USB Network Interface. Using NodeUtil you can discover devices , learn about the Domains, SubNets, NodeID’s. You can also upload the XIF file from specific nodes. LonMaker is a Windows GUI based network/device management tool for Echelon LonWorks. It can be used for initial network setup and functioning as a management console on a completed network. The communications between all Lonworks devices is done by means of a proprietry chip (The Neuron chip) made according to one design by one company according to one standard which it wrote on its own. It’s obvious that there are so many less aspects of the data communications process that can go wrong when there is a single entity involved. When a device vendor implements a Lonworks System Interface he simply has to implement the application layer of the data communication process. For almost all other protocols the device vendor must implement the physical layer, data link layer, the Network Layer, The transport Layer, The Session Layer, the Presentation Layer and the Application Layer. You can see how many more areas of risk there are. When Echelon released the standard, their license terms required anyone who implements it to implement the full standard. The fact that other vendors can’t cherry pick features and services means that even when implemented by other vendors you still have the same strong chance of success. Lonworks – a wide ranging term generally applied to describe the whole technology developed by Echelon. It is used frequently and ambiguously. LonTalk – A registred trademark belonging to Echelon. They use it as the name of the protocol used for data communications in a Lonworks system. Ie. It is the brandname protocol. Echelon released this protocol so it could be adopted as a standard – ANSI-approved standard EIA/CEA-709.1-A-1999 – SO/IEC Standard 14908 or European standard EN14908. How to Commission and Bind using Lonmaker. CAS can configure Lonworks gateways so Commissioning and Binding can be avoided. Call our Tech Sipport for more info.